What a great way to celebrate 30 years of marriage. We took a 5 day trip to the island of Bali for some rest and relaxation. For the most part we hung around our lovely resort, The Samaya in Seminyak, although we did venture out one day with a car and driver to explore Ubud. 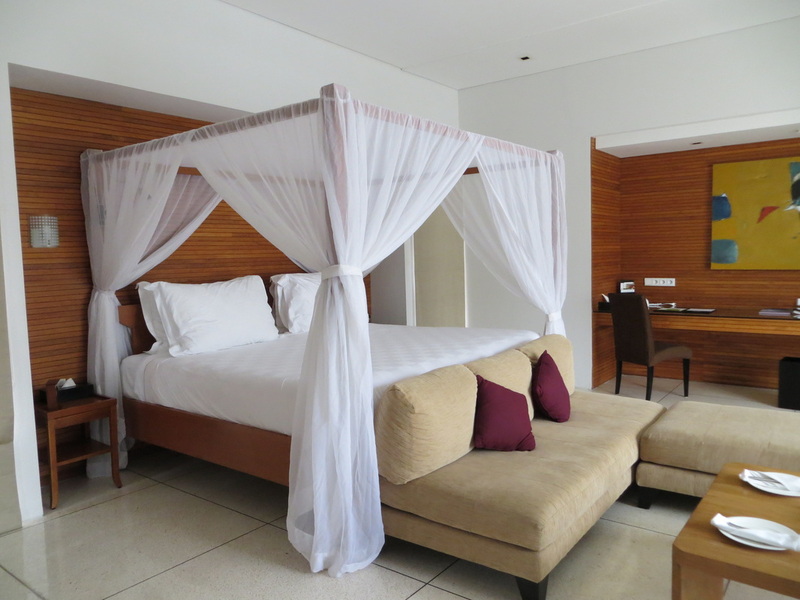 Our lovely accommodation at the Samaya could not have been more perfect. We had our own private Villa with a private courtyard with a pool and outdoor seating area. The room was huge and the bathroom walls could opened up to the outside which was great. 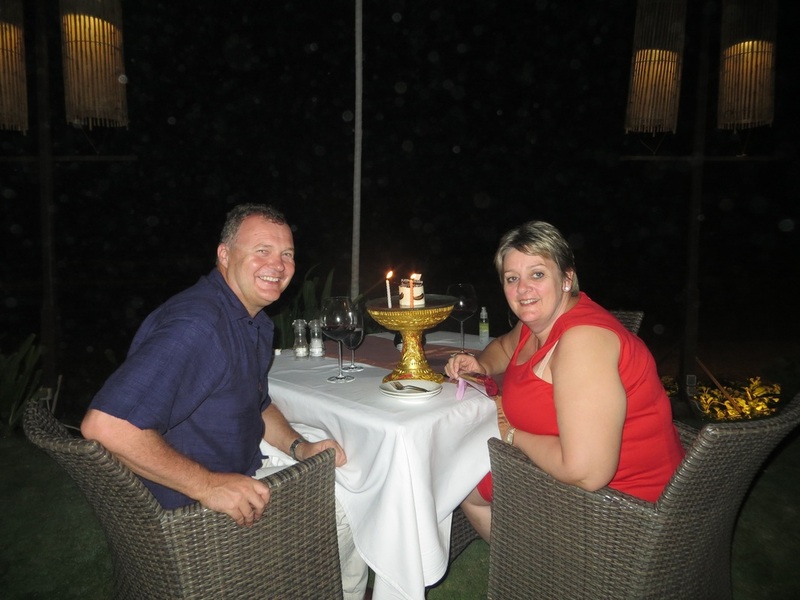 It was not hard to relax in the beautiful grounds of The Samaya, overlooking the beach. We had breakfast (which was included in the price of the Villa) most days overlooking the ocean at Breezes Restaurant. There was also a lovely bathroom with the sinks in the open air overlooking the pool. The weather was quite rainy but very humid whilst we were there. This made for some very big waves on the beach and some grey moody looking skies at times. There was another pool area and restaurant right outside our Villa which looked lovely. I did not take too many pictures on this trip, but I did manage a few snaps of the streets in Seminyak. The traffic was pretty crazy but there are some nice boutique style shops and lots of restaurants on Seminyak. We also saw a guy cutting the grass by hand with a pair of shears! We hired a car and driver for a day so we could take a look at Ubud. On the way we stopped at a Batik Factory which was very interesting. Ubud was amazing, lovely houses and markets as well as The Monkey Forest (which unfortunately we did not have time to explore). I would love to go back to Ubud one day and spend more time there. The day of our Anniversary was lovely, some wonderful treats courtesy of The Samaya management and a lovely dinner at Breeze to cap of our day.